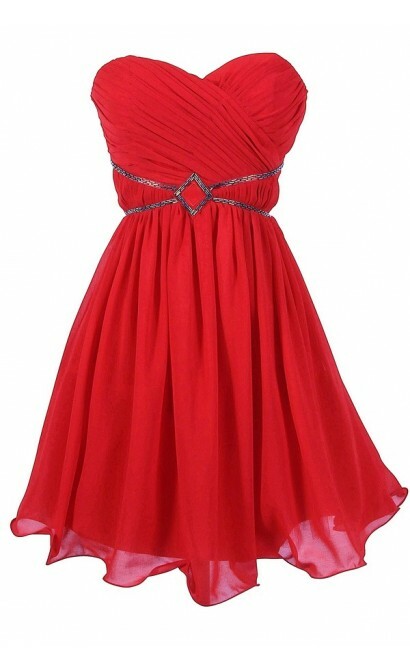 You have added Festive Red Embellished Chiffon Designer Dress into shopping cart. FINAL SALE. If you want to make an entrance at any upcoming holiday dance or party, consider this bright embellished designer dress. The Festive Red Embellished Chiffon Designer Dress is a stunning bright red color that will stand out in the crowd. It is fully lined and made of chiffon fabric. The skirt has an invisible layer of tulle underneath, giving shape and volume to the skirt. 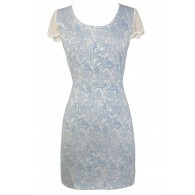 The top has a sweetheart neckline and lined and lightly padded bust for support. This dress comes with adjustable and detachable spaghetti straps, so you can decide if you want to wear it strapless or not. Pleated Chiffon fabric crosses over at the bust and gives way to the embellished empire waistband decorated with tiny silver seed beads. This dress is even more beautiful in person than in photos! The Festive Red Embellished Chiffon Designer Dress would be perfect paired with pumps or strappy heels and some pretty jewelry to wear to a holiday dance or upcoming party. Details: Fully lined. Lined and lightly padded bust for support. Adjustable and detachable spaghetti straps included. 100% polyester. Lining: 97% polyester, 3% elastane. Dry clean only. Size UK 8 measurements: Length from top of bust to hemline: 29”. Bust: 32-34”. 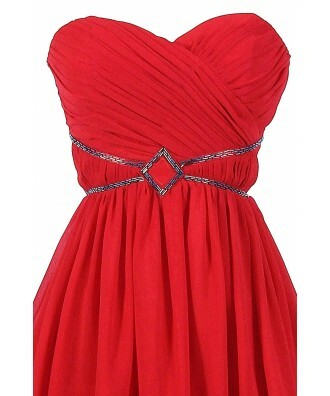 You have added Festive Red Embellished Chiffon Designer Dress into Wishlist. You have added Festive Red Embellished Chiffon Designer Dress for Stock Notification. 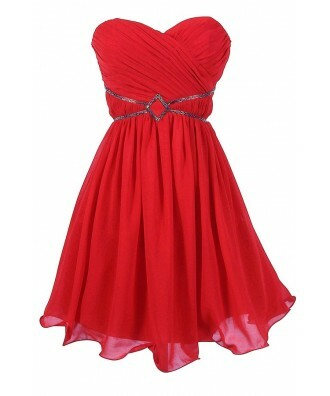 You have set Festive Red Embellished Chiffon Designer Dress as a loved product. You have removed Festive Red Embellished Chiffon Designer Dress as a loved product.